According to reports, a Starbucks opens in China every 15 hours. 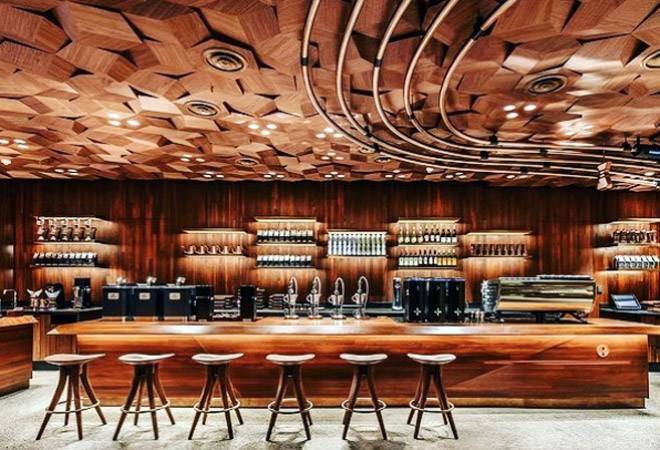 Starbucks has just opened its largest store in the world in Shanghai. Called the Starbucks Roastery Shanghai, the outlet measures an astounding 30,000 sq ft - that is almost half of a football field. This outlet highlights the unexpected success of the company in China. As of now, China is the company's second-largest market in the world with 3,000 stores. According to agency reports, a Starbucks opens in China every 15 hours. The opening of the sprawling, two-storey outlet was a quite popular affair with some customers waiting for more than an hour in long lines, in a scene reminiscent of iPhone releases. Starbucks opened a similar store or a Roastery in Seattle in 2014. However, the Shanghai Roastery is twice the size of the Seattle one. This 'gift' to China also indicates the company's plan to move upscale and add variety to the chain. Chairman Howard Schultz told Bloomberg News that China is on its way to become the company's largest market in less than a decade. "It's obvious to us that the holding power of China for Starbucks is going to be much more significant than the holding power of the US," he added. A press release on the Starbucks Newsroom mentions that the outlet will "reflect a similar, immersive all sensory experience. This interactive, retail environment will allow customers in China to better understand the craft of roasting and brewing a range of Starbucks coffees including the rare, limited availability of Starbucks Reserve coffees from around the world." Reports mention that the Roastery will offer coffee beans from 30 countries. Customers can roast these beans on the premise. There will also be three bars where baristas would prepare coffee in a variety of ways. One of the coolest features in the outlet is a copper flask with Chinese stamps and engraved texts located at the entrance. Pointing one's phone at the flask will animate the roasting process for the customers through an app. For this augmented reality app, Starbucks partnered with e-commerce giant, Alibaba.